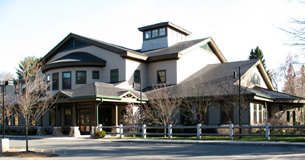 The Hamilton-Wenham Public Library provides free meeting rooms to the community as a public service. Use of these meeting rooms does not constitute an endorsement by the Library of a program or point of view expressed. No advertisements or announcements implying such an endorsement are permitted. Maximum capacity for our large meeting room is 120 people.